David Haye said he would do "everything in his power" to fight Wladimir or Vitali Klitschko after his demolition of Audley Harrison on Saturday. Haye, 30, stopped Harrison in three rounds to retain his WBA heavyweight crown in Manchester before moving his attention to the Ukrainians. Wladimir is IBF and WBO champion; older brother Vitali holds the WBC belt. "I'm the main man and there's no-one else for them to fight, and I'll fight either one of them," stated Haye. Haye was due to fight Wladimir, 34, last year but was forced to pull out because of a back injury and negotiations have repeatedly stalled since. And while the Englishman stopped shot of promising the British public his next fight would be against either one of them, he was confident that would be the case, with Wladimir preferred to his 39-year-old brother. "It will happen because they've got nowhere else to go," argued Haye, who now has 25 wins from 26 fights, 23 by way of knockout. "There is no-one else that can bring the excitement and the numbers I do." However, the Klitschkos' manager, Bernd Bonte, has questioned Haye's desire to get the fight on. On Sunday he told BBC Radio 5 live: "We would be more than happy to make that fight. We already had a signed agreement [for Haye to fight Wladimir], but he bailed out of that contract. There were negotiations with Vitali, but he stopped that. We are never too optimistic that we can find an agreement with him. "Wladimir challenged him at a press conference three weeks ago. I think Haye is always looking for an excuse, I'm not sure he thinks he can beat one of the Klitchskos." Bonte revealed that another problem lies in the split of TV money, with Haye apparently unwilling to share the proceeds evenly. "We want everything in one pot, with a 50/50 split. He wants to keep the English TV rights and we keep the German rights. But that would make it 70/30 for Haye because in Germany we have no pay-per-view TV service," added Bonte. "We would like to do the fight, but as long as we have a 50/50 split and no options or rematches. He has one of the belts, the brothers have the others - it would be a massive fight, one of the biggest in boxing. "We want the biggest money in the pot, and if that comes from a sold-out Wembley stadium then we fight there, if it's Germany or Abu Dabi or Dubai then we'd fight there. It has to be prime time European TV, but that can be done. "This would be the best fight you can do in boxing - even bigger than Pacquiao-Mayweather. "If we get it all 50/50 we can make the deal next week. We are ready to go." And Haye's trainer/manager Adam Booth also suggested the fight will happen. He said: "Both of the Klitschkos want a defining fight, especially Wladimir because at least Vitali has already fought Lennox Lewis. If Wladimir was to retire without fighting David it would burn him for the rest of his life. That motivation will make him come to the table. "They've got my phone number and all they've got to do is swallow a bit of humble pie and I'll talk to them. Everyone seems really worried it's not going to happen - it is going to happen." However, speaking after the fight, Haye sounded a cautionary note when he said he would not bow to their demands if it meant not splitting the pot evenly. "I shouldn't have to bend over for anybody," he opined. "They're used to people taking a little bit less, I shouldn't have to. Other than Lennox, they've never been in the ring with someone who generates more than they do." In addition, Haye reiterated his plan to retire before he turns 31, which happens on 13 October 2011. He said: "A deadline's a deadline, I'm retiring before I'm 31. I'm going to break the mould, I'm determined to stick to my goal. I will have achieved what I wanted to achieve - undisputed cruiserweight champion, unify the heavyweight division and then call it a day." 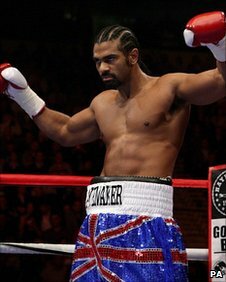 And Haye was confident he would have the tools to defeat Wladimir if talks do come to fruition. "I know exactly how to beat him," he revealed. 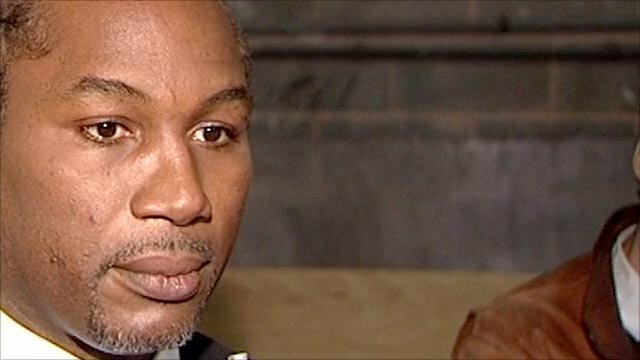 "He's never fought anyone with my speed and power, all I have to do is clip him on the side of the head and he'll go the way Audley did. "And imagine bringing Wladimir here [to England] - he likes it his own way, but it would be something he'd never had before, being booed from start to finish, such a hostile environment. Everyone loves him in Germany, he hasn't got too many fans over here." Wladimir's next fight is against Haye's fellow Londoner Dereck Chisora in Mannheim on 11 December, a fight the champion is expected to win easily. Wladimir has 55 wins from 58 pro fights and while 49 of those wins have come within the distance, he has been knocked out himself three times.